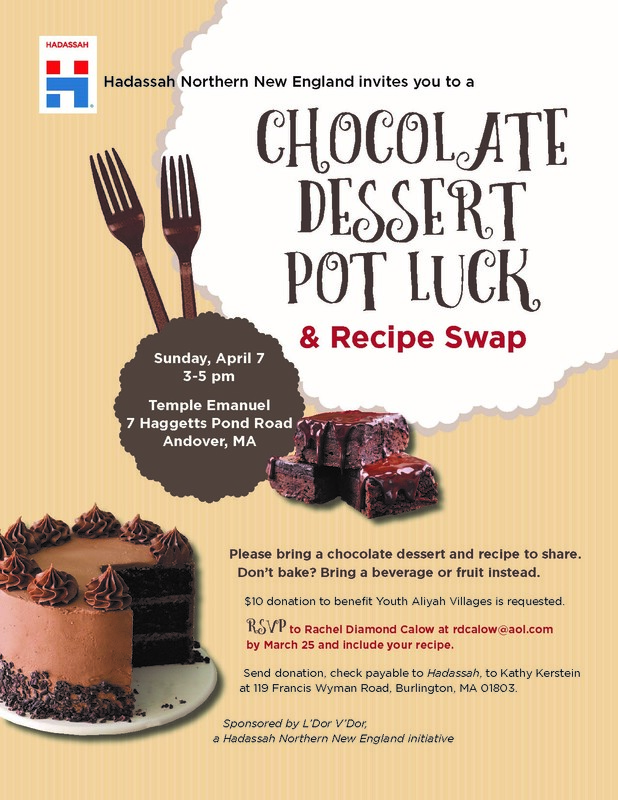 Sunday, April 7 from 3:00 p.m. - 5:00 p.m. at Temple Emanuel in Andover. A $10 donation to benefit Youth Aliyah Villages is requested. RSVP to Rachel Diamond Calow at rdcalow@aol.com by March 25 and include your recipe.